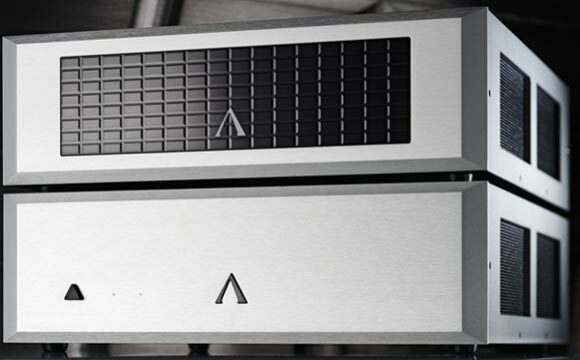 The original Aesthetix Io phono stage was first introduced in 1995 and has earned quite the reputation as one of the worldâ€™s finest phono preamps. The designer is Jim White, formerly of Theta Digital fame. The Aesthetix Io Signature Phono Stage with the volume control can be used as your only pre-amplifier in a system with vinyl and one other source. It can also be purchased without the volume control and used separately as an add-on phono stage with a very good line preamp. The power supply will probably be mistaken for a power amp by visitors to your listening room. You can add an additional power supply for totally dual mono configuration if you want to go really crazy. The power supplies are divided into two main sections. First, there is the heater power supply and then the primary supplies. It only takes one glance to see that the Io Signature is a very serious phono stage. The Io Sig I had in for review was the version with one power supply and dual mono volume controls. I used it single-ended, although it can be used as a fully balanced preamp as well. Ever since I went to two systems, one all vinyl, and another on the main level of the house that is all digital, I have been on a search for a phono stage with a built-in volume control that was as good or better than my Shindo Masseto preamp. The Io Sig seemed like a likely candidate, so I asked Garth at Musical Surroundings if I could take a listen and he was gracious enough to say yes. The unit I had in for review had Aesthetixâ€™s High Resolution Volume Control which is a 46-position, true balanced constant input impedance stepped attenuator. It was custom manufactured to Aesthetixâ€™s specifications. They use dual mono circuit boards, one volume control per channel, truly balancing both legs of the signal. The Aesthetix has a high gain/low noise, all-tube circuit. It is capable of amplifying low output moving coil cartridges. It has very flexible gain and loading adjustments that make the Io Sig work well with a large range of cartridges. The phono stage contains three main amplification sections with an output buffer stage. The first section is a high gain, low noise, zero feedback single-ended amplifier consisted of two specially selected low-noise 12AX7 vacuum tubes per channel. They feed a high-gain, low-noise differential amplifier which uses two more 12AX7 tubes per channel. The signal is then applied to the third amplification section, nearly identical to the second which also uses two 12AX7 tubes per channel. The RIAA filter is next in the signal path, a purely passive design that uses very high grade capacitors and non-inductive resistors throughout. The back panels reflect true dual mono circuit boards and balanced circuit topology. The Power Supply Chassis of the Io has a high voltage insulated transformer and both transformers utilize special damping material for lower mechanical noise. It uses custom Wima bypass capacitors to replace the standard film caps. The Signature versions use custom-made inter-stage Teflon coupling capacitors, replacing the polypropylene units, which cost over 15 times more per capacitor. There are some specialized applications where very small-value Teflon capacitors are used in the Io Signature. All of the input and output wiring is Cardas Teflon coated signal wire.